In Flowhub you can create and edit full flow-based programming projects. The live mode enables introspecting running FBP systems. This weekend we rolled out Flowhub 0.19 which makes it easy to move between these modes. 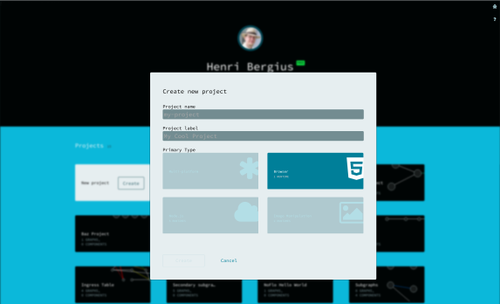 Flowhub’s live mode is designed for making software introspectable — flow-based systems provide access to the graph and network state information, and tools like Flowhub then visualize it. In live mode, users can see the graph structure of the running software and the packets flowing through it. 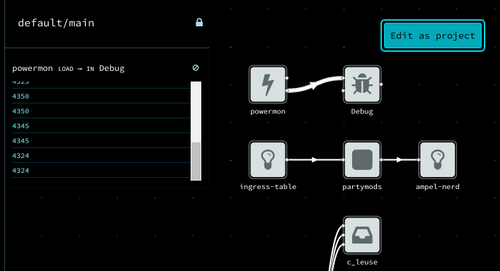 And with the right permissions, you can also navigate the possible sub-graphs and component source code. To make changes to the running software, hit the Edit as project button. 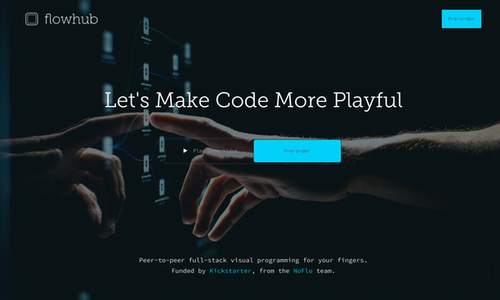 Flowhub will download the currently running software from the runtime and turn it into a project. Edit as project also works with the example programs that ship with Flowhub. 12 December 2013 in Santa Rosa, California. 4 minute read.